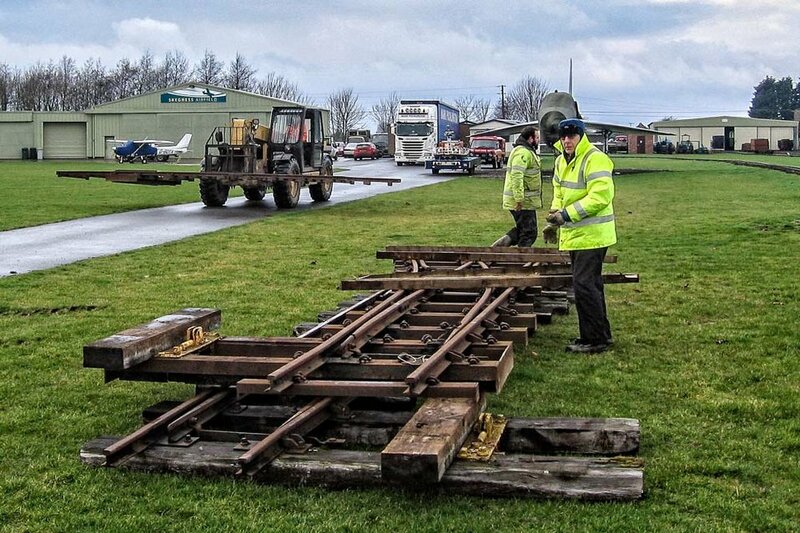 "The quest for new rail and sleepers for the LCLR has taken just over a year. First seen at Eastriggs, Cumbria, the 23 mile system still in place, unused, and offered for sale. 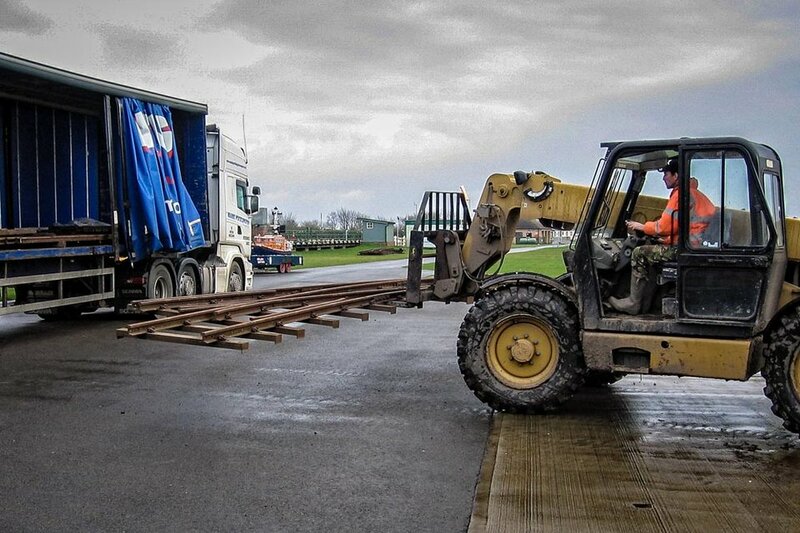 The logistics for the LCLR seemed pretty insurmountable to move the rail to Skegness. 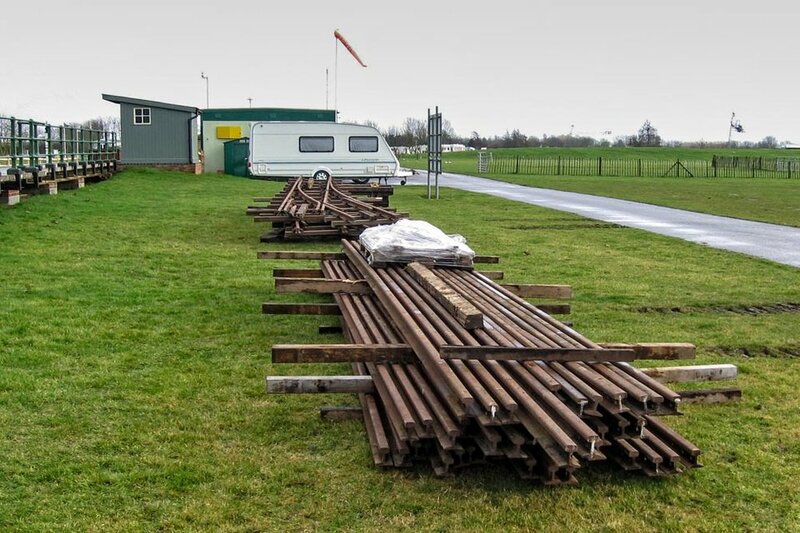 In the event, the entire trackwork was sold to a dealer, conveniently located in the East Midlands (pictured above). 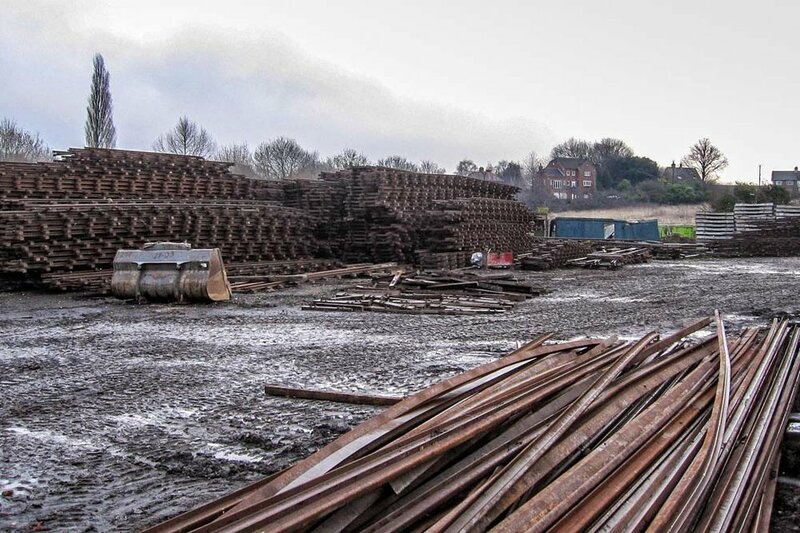 Patient negotiation has resulted in the purchase by two benefactors of a quantity of BS35M rail and three turnouts. Most of this will be used to rebuild the South Loop to enable Jurassic and longer trains to run, and run round on the main line at the Water Leisure Park. 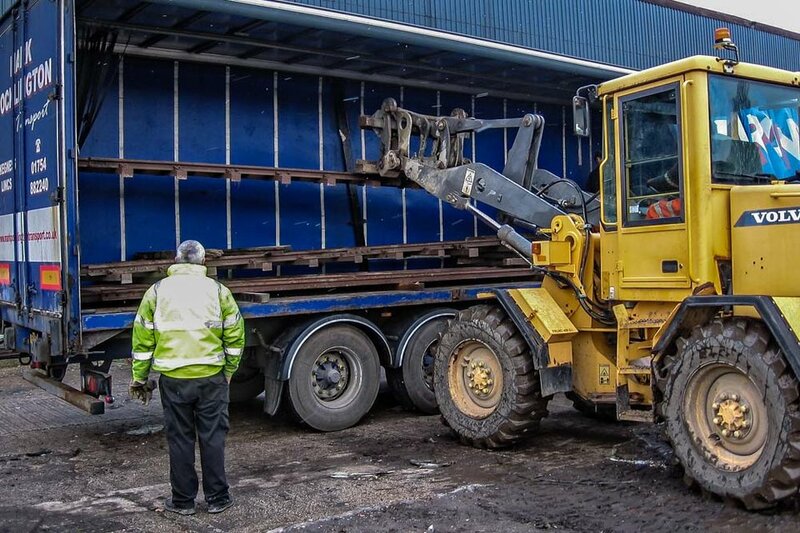 The volunteers would like to thank the efficient service from Mark Pocklington Transport and the WLP staff to enable all this to happen this week...despite the light snow fall and decidedly inclement weather." .... to be stacked near the railways "Walls Lane Station". If you would like to help extend the Lincolnshire Coast Light Railway, or perhaps take part in operating our steam railway, do get in touch - we`d love to hear from you!